Price: from € 51.00 p. p.
The art and creativity of the greatest artists will be highlighted by the informative commentary of your expert private guide. 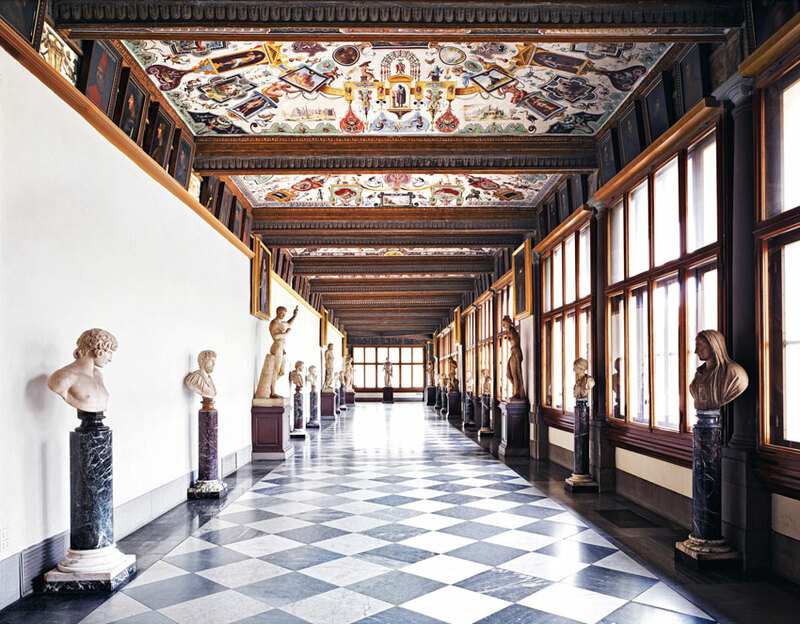 A must see in Florence, the Uffizi Gallery; here you can admire numerous works of art byBotticelli, Michelangelo, da Vinci, Raffaello,Giotto, Cimabue, Masaccio and many others. Housed within these vast and wondrous exhibition halls, are priceless works of art. For Example, Botticelli’s masterpieces“Primavera” and the renowned “Birth of Venus”, which serves as the icon of the museum, and represents the allegory of the birth of the goddess emerging from the sea foam as well as symbolizes the ideal of beauty as an expression of purity and spiritual quality, typical of the Renaissance Neoplatonic aesthetics. *It is possible to remain on your own in the museum, once our tour concludes. Persons: Min 1- Max 10. Price per tour: 1-2 pax € 270,00; 3-4 pax € 330,00; 5-6 pax € 390,00; 7-8 pax € 450,00; 9-10 pax € 510,00.